This giveaway is pure fun. I've worked with the folks at Cake Boss before, and they've go some really nice stuff. Really nice. And now they've got a live demo you can watch. Well, I guess it's technically not live anymore because it already happened. But there's a demo. The demo features TWO of the items I have to give away. First, the Ghost Cakelette Pan . Spoooky. I love their little faces! 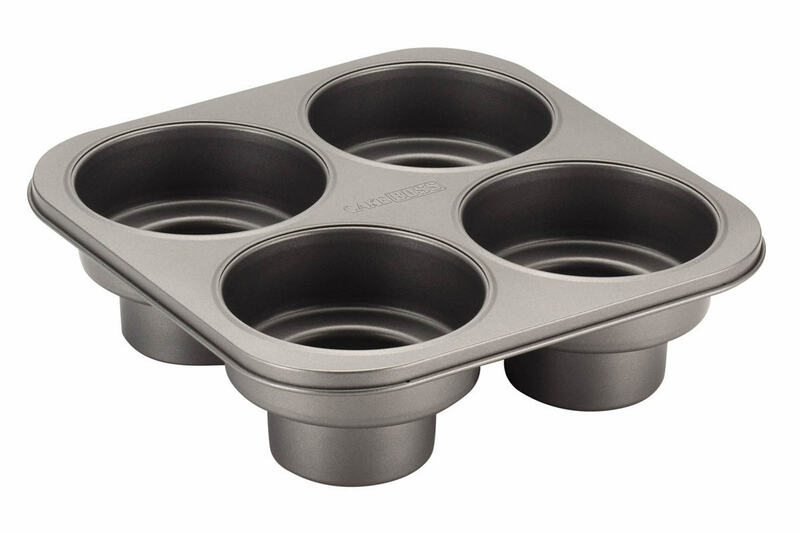 And the second is the round tiered cakelette pan . So you can make mini cakelettes that looked like tiered cakes. So fancy! Would that be cute for a tea party? These products are being provided directly from the manufacturer for this giveaway. Thanks to Cake Boss! Thanks for visiting. These giveaways have all ended. A while ago I mentioned on Facebook that I was going to try using my slow cooker as a room humidifier. I didn't get around to it until recently. After waking up with a mild headache two mornings in a row, I decided that the heat must be kicking on at night and drying out the air enough to cause me some sinus pain. Time for some extra humidity. So, I filled the slow cooker all the way with water, just to make sure it didn't run dry. I set it for high, manual cooking, which is 14 hours of cooking time. With the lid on, just venting through the probe hole (it has a thermometer function) it sent about 1/3 of the water into the air. Since it's a 6-quart cooker, I'm estimating that it was about 1/2 gallon of water. How much water yours would throw depends on the model, so you might want to test it to see how long you can run it without it running dry. And, for two more nights in a row, I didn't have a headache and my sinuses didn't feel dry and weird when I woke up. So apparently that's enough water (for now) to keep my sinuses happy while not turning the room into a rainforest. Downside is that the slow cooker does get hot, so if you're thinking about doing this, you need to find a place for it where it's unlikely someone will touch it or run into it or knock it over while making a late-night trip to the bathroom. For us, it's not a big deal because there aren't any kids in residence, and the furry creature can't jump up to where I put the slow cooker. But if you have kids or cats (or big athletic dogs) then placement of the slow cooker is going to require some very careful thinking. I don't know if 1/2 gallon of water will be sufficient when the heat is on all day long, but if it's not, I can run the slow cooker with the cover slightly ajar to release more steam. And of course I can run it during the day as well, rather than just at night. But for right now, the output seems sufficient for my needs. Upside to the slow cooker as a humidifier is that it's all easily washable. My big gripe with the room humidifiers we've had previously is that there's always some ridiculous corner or valve or something that's nearly impossible to clean well, and if you don't get to all the nooks and crannies, there's a good chance you're throwing mold in the air along with the water. So there ya go. It works, if you can find a safe place to put it. Not, like, perched on your headboard. I'm pretty sure the manufacturer would point out that this is a kitchen appliance and not a bedroom one, but if you've got a surface that's as stable as your kitchen counter and you're very careful about using it ... well, use it at your own risk. 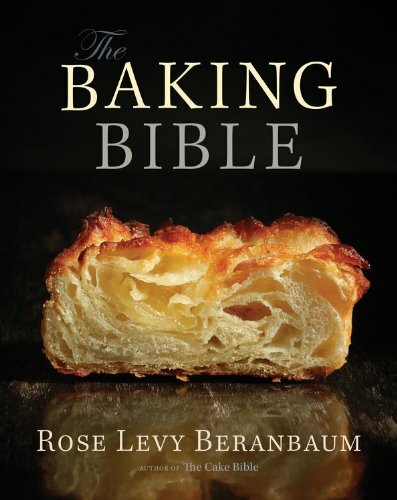 This was baked from a recipe from Rose Levy Berenbaum's new cookbook, The Baking Bible . I have more info about it over on COOKISTRY. And the cupcake recipe HERE. 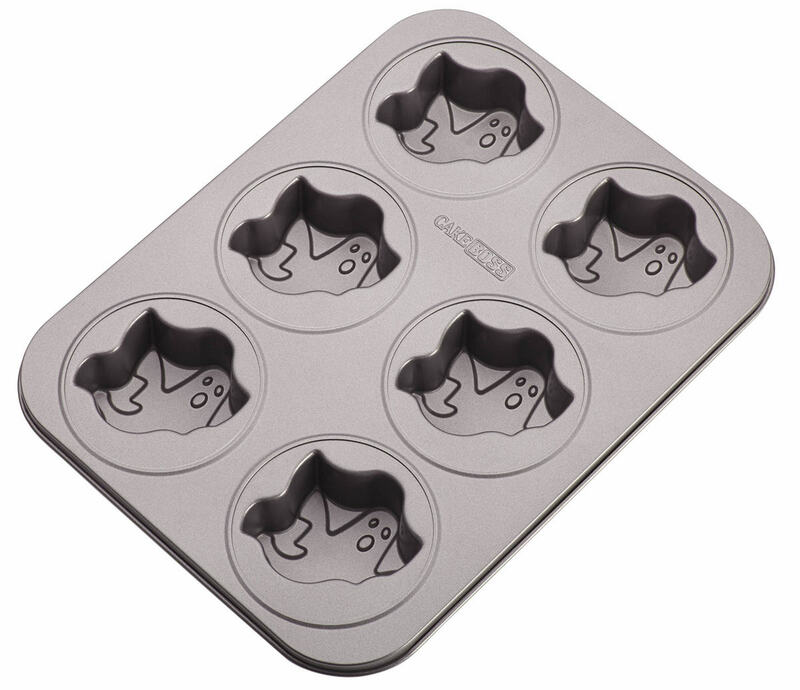 AND a nifty silicone baking bowl . Yes, that is a hand-shaped hunk of ice. What could you do with a hand-shaped hunk of ice? Well, Halloween is coming. So you could float it in a punch bowl, or use it as the bed of ice under seafood, or let it hold a bowl filled with a chilled dip. Other times of the year ... you probably don't need a hand-shaped hunk of ice. The gloves are intended as oven or BBQ mitts, because silicone is a great insulator. It withstands both high and low temperatures. And, unlike cloth or knitted gloves, silicone will protect you from wet heat or cold. So you can grab onto things that are wet or potentially splashy. For example, when you've got something cooking in a water bath, there's always a risk the water could splash. Or you could hold onto a lobster fresh from the pot without burning yourself. Or you could hold hot vegetables to peel them. Also great for insulating your hands from cold, like when I'm holding the ice cream maker bowl to scoop it out. Or if you need to handle a lot of cold stuff, like when you're unloading the freezer. While these aren't quite as flexible as knitted gloves, they're about as flexible as thicker insulated cloth mitts. And the bonus is that the silicone is a little grippier than cloth, but at the same time it's nonstick, so if you spill hot sugar on it, it will just peel off. And, they rinse clean or can be washed in the dishwasher. I've got quite a few different types of mitts, gloves and pot holders, and they've all got pros and cons. These are definitely the ones I'm going to reach for any time I'm dealing with anything that's potentially wet. Who's it for: Everyone who cooks needs some kind of gloves or mitts. Pros: Nonporous. You can use these to hold wet items. Oh, and the bumps on the gloves are hearts. Awwww ... cute. Cons: Not as flexible as knitted gloves. Wishes: It would be nice if they came in different lengths - longer ones would be good for some situations. It's a cookbook-palooza giveaway from QUIRK. They're offering my fans FIVE cookbooks from their many wonderful titles. 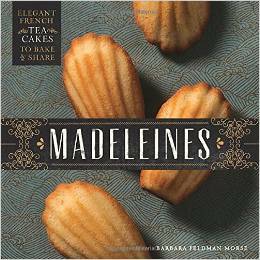 First is Madeleines . I wrote about it right here. Check out the recipe for peanut butter madeleines! 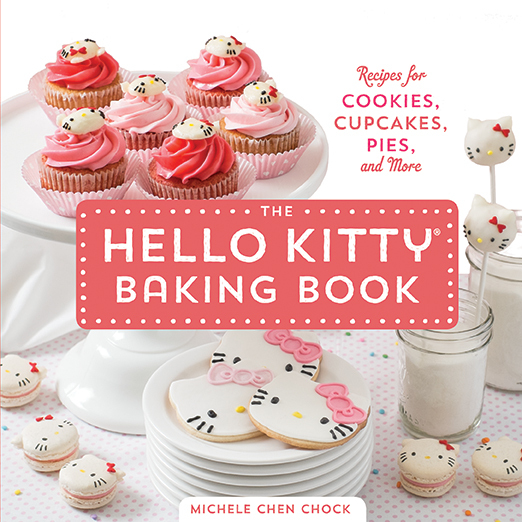 Next is the Hello Kitty Baking Book . I made little cheesecakes from this book that were really good. Oh! 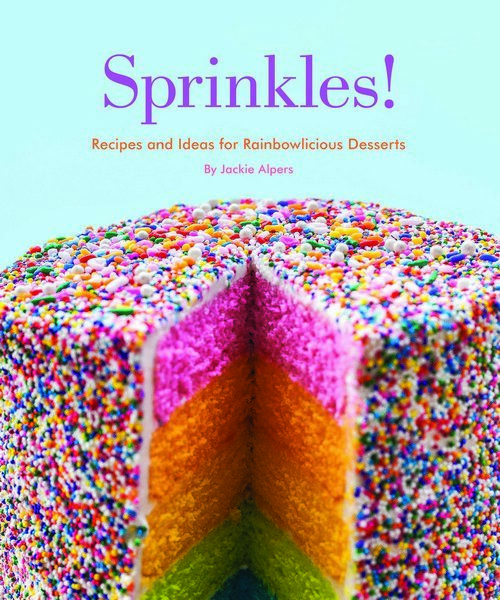 Sprinkles ! I wrote about it here. 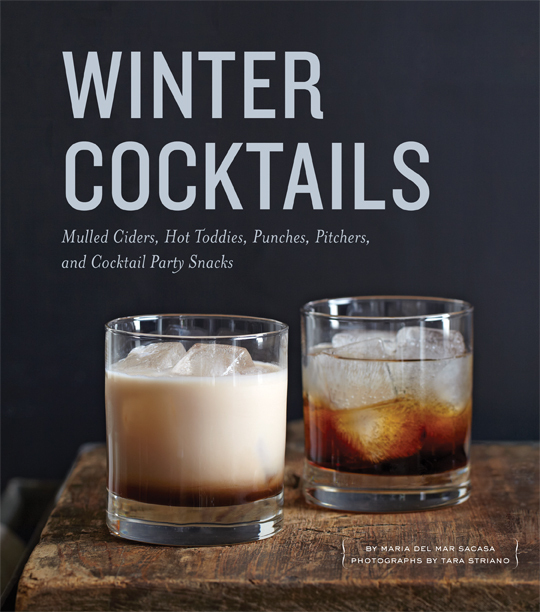 Now we have Winter Cocktails . Oh yum! I wrote about it here. Woof! Woof! 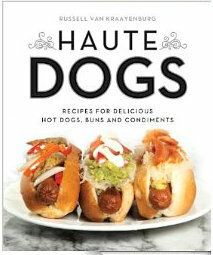 Fancy hot dogs in Haute Dogs . I wrote about it right here. Pretty awesome collection, right? Something for you, and maybe even one or two to give away - Christmas is coming, right? GIVEAWAY IS OVER. I received these same books from the publisher, one at a time, for reviews. The publisher is supplying all five to one winner. 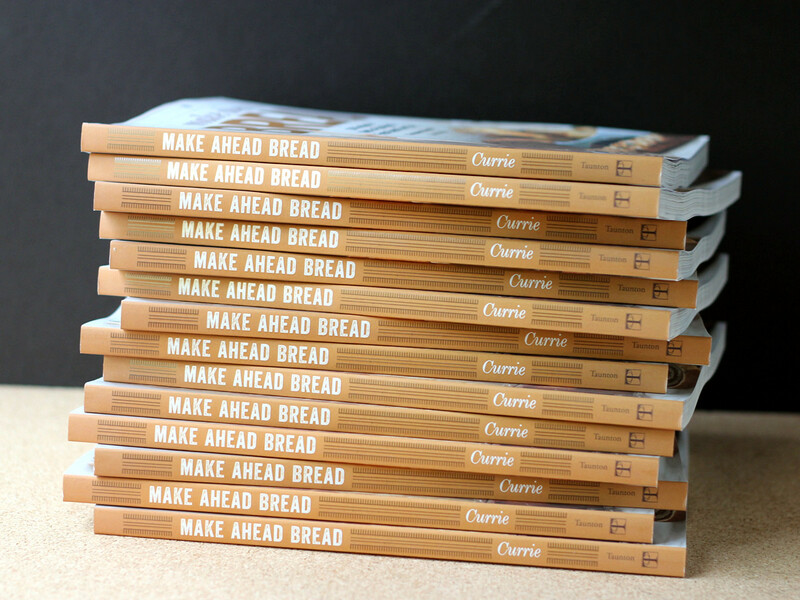 Want an AUTOGRAPHED copy of Make Ahead Bread? Yup, I'm giving away a copy of MY cookbook. Gosh, I never thought I'd be saying THAT! And I'll autograph it JUST FOR YOU!!! Not feeling lucky? You can buy it here . OH! And since I'm shipping it, Canadians can enter too! Hi, up there! How do you review something that's as ... normal ... as a glass casserole? Yeah, I sort of struggled with this one. Not that I don't like the Duralex rectangular roaster I've been testing. I actually like it a lot. But normally, I talk about new features or quirkiness. But what this has going for is that it's pretty classic. 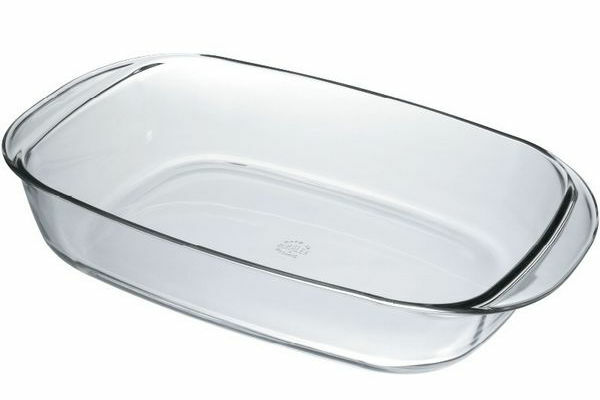 Back in the dim past, everyone's mom had some kind of clear baking dish for roasting or for casseroles, right? This one would have looked right at home, although a keen eye would see that it's not exactly the same. The lines are classic, but updated, somehow. More retro/modern than old and clunky. The 4-quart model, which is the one I have, is a great size for family-sized batches of lasagna or potatoes au gratin or for a beef roast or a large chicken. Cakes or brownies, too. If you look at it, you can see see a bit of crusty browning around the edges of the meat. While a glass roaster isn't billed as a nonstick product, I have to say that it was pretty easy to clean. Yup, there ya go. Glass roaster. Everyone needs at least one, right? Here's the technical details, if you're into such things: Made from reinforced tempered glass resistant to a thermal shock of 200°C / 392 F temperature differentiation and withstands temperatures between -20°C/ -4 F and 300°C/ 572 F.
Who's it for: This would be a great gift for someone who is just starting out. Since it's clear, there's no need to worry about color schemes. 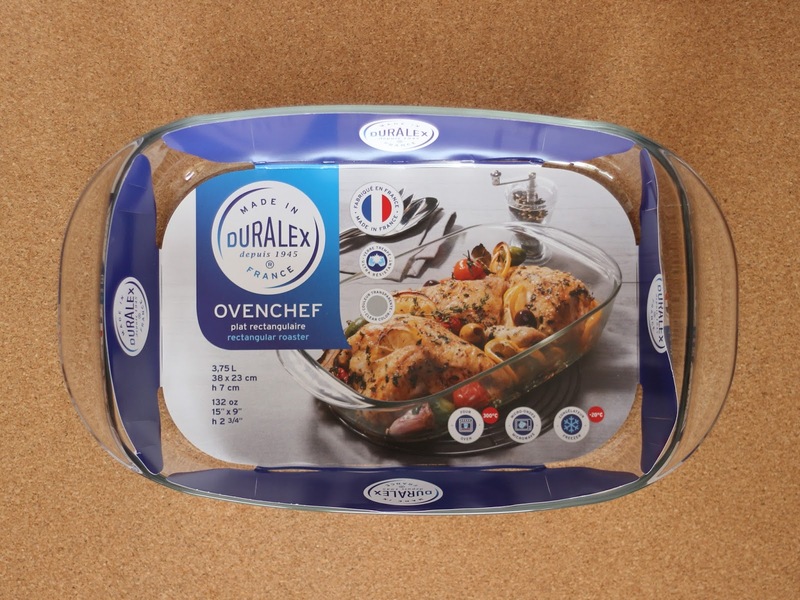 And it's a good replacement piece if your glass casseroles are scratched. Pros: Really affordable. When baking or making something like a casserole, you can see if the edges are browning or not. Nicer for table presentation than a metal baking pan. Oven, microwave, freezer, and dishwasher safe. Cons: Not stove-top safe. And, since it's glass, there's the klutz factor. Wishes: Gee, I wish I had all the sizes. And the oval shape is nice, too. Hard to decide which I like better. The nice folks at Rumiano are offering 5 VIP coupons to ONE WINNER. 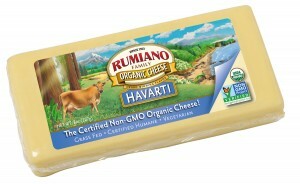 That's good for fige 8-ounce packages, for a total of 2 - 1/2 pounds of GMO-free cheese. For a recipe using this cheese, and more info, see this post on Cookistry. I love color when it comes to bakeware, cookware, servingware, and other kitchen items. Unfortunately, I never got around to picking one color. Or a theme. Or a scheme. I've got so many different colors in my kitchen, it's ridiculous. Fortunately, if someone offers me a new piece of cookware or bakeware or gadgetware, I know it will fit in well with the rest of the random rainbow. And if I ever need something to match or contrast with something else, I probably have it. So when Emile Henry offered me a piece of their new Natural Chic Brick items, I didn't even think twice about what color Brick might be. I figured it wasn't blue. But it really didn't matter. If it was blue or green or purple or yellow, it would fit into my kitchen. Brick is actually a very pretty red. Not cherry and not maroon. It's a rich, dark (but not too dark) red. I thought it was a perfect color for pie, matching well the the golden-brown color of a perfect pic crust. But it's not just for pie plates - there are a large number of other items in this color, including mugs, bowls, ramekins, and plates. Lots and lots of stuff. Go, check it out. It's a pretty color. And if red's not your thing, there are other Natural Chic colors as well. I'm just going to sit here and eat another slice of pie. 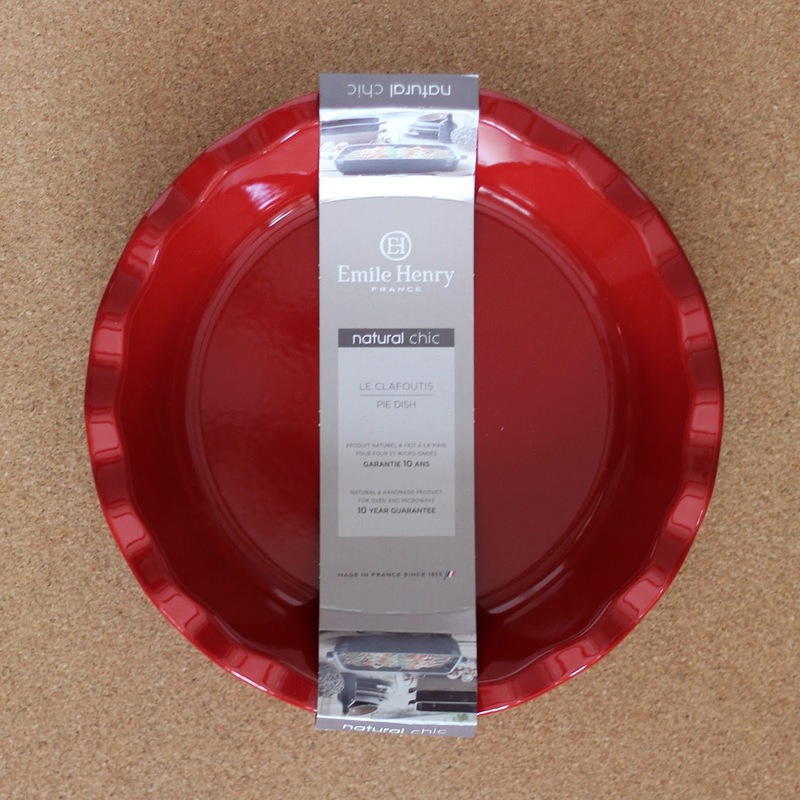 Who's it for: People who like this color, and who like Emile Henry products. Pros: Emile Henry makes quality products. Cons: Quality can be more expensive than the bargain-basement pans. Wishes: Nothing, really. I've used the pan several times, and it's really nice. Check out the mac and cheese recipe HERE, then enter to WIN. GIVEAWAY IS OVER. The publisher provided me with a copy of this book for my own use, as well as supplying a copy for this giveaway. Over on my recipe blog, Cookistry, I've been doing a lot of sous vide recipes, and I've been cooking a lot of things using sous vide that don't get published there. It's an interesting way of cooking, and the result is different from what you'd get by using conventional cooking methods. I think there will come a time when inexpensive sous vide cookers will be as ubiquitous in home kitchens as microwave ovens are today. 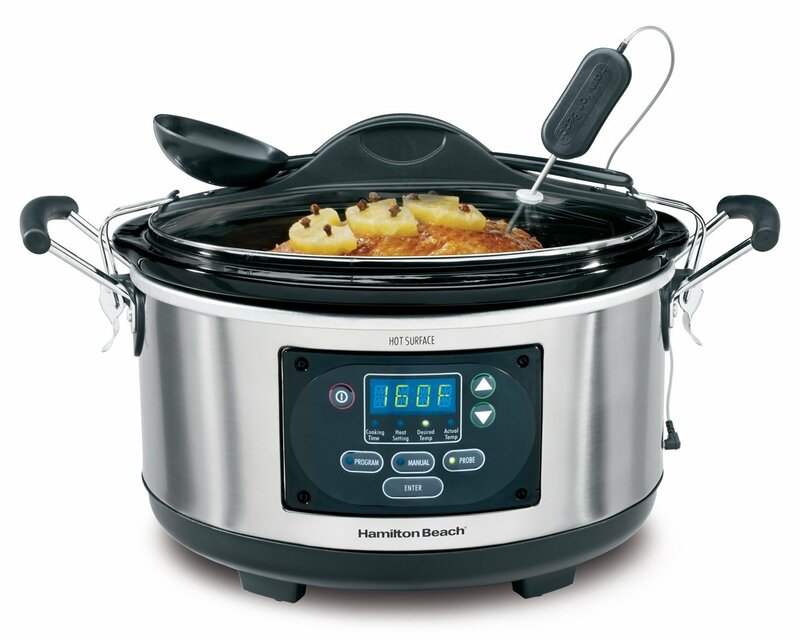 But for now, they're still a relatively new thing for home users, and there aren't a whole lot of choices when it comes to affordable models for the average cook. As far as I know, there are only three major players in the sous vide market. I was recently contacted by PolyScience, a company that makes high-end lab equipment and professional cooking equipment that most of us know nothing about. They are quite proud of their achievements in those areas, but puzzled that their home units don't seem to be getting the same attention as similar units made by companies that are younger. I said, gee, I really don't know. Marketing, maybe? The thrill of Kickstarter, perhaps? It's not like any of these products have enough longevity in the market for people to have become brand loyal because they saw these products at home when they were kids. And none of the products have been around long enough for there to be any sort of long-term reliability reports, either. 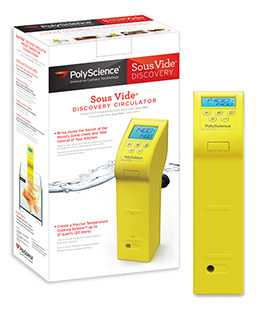 They offered to send me one of their home-user sous vide machines, the Discovery model, and I said, sure, I'll give it a whirl and let you know what I think. I plugged it in and had it cooking on the same day it arrived. Right off the bat, I noticed two usability differences between this model and the one I have been using for quite some time, made by Anova. First, the on-off switch on this one is a lot easier to use. And second, because of the angle of the readout on this one, I had to stand on tiptoes to read it. Now, if you're taller or if you're using this on a shorter surface, you wouldn't have that readout issue. On the other hand, the readout on this one seems to stay on all the time, where the other one goes to sleep and you need to poke it to wake it up. There's no need to be obsessively checking the temperature readout, anyway, so it doesn't matter that the readout might not be as convenient as checking the timer on the oven. The point of sous vide is that you set it and you ignore it. Sometimes for several days. Like the 72-hour beef short ribs I've made a few times. Yes, three days of cooking. And it's soooo worth it. Also, this one seems keep heating and circulating when the time is up, whereas the other one turns off. I'm not really sure which of those options is better. On one hand, you could end up cooking something a lot longer if you didn't hear the alarm on this one. But on the other hand, if you didn't hear the alarm on the other model (or notice that it was quiet), it could cool to unsafe temperatures if you left it for too long. In theory, you're going to be paying at least a little bit of attention to how much time is left on either machine. Fifteen minutes of cooling or cooking really shouldn't matter. So far, I've only used this unit a few times, and I haven't done a head-to-head battle between the two machines. I don't know if I will ... or if I can. 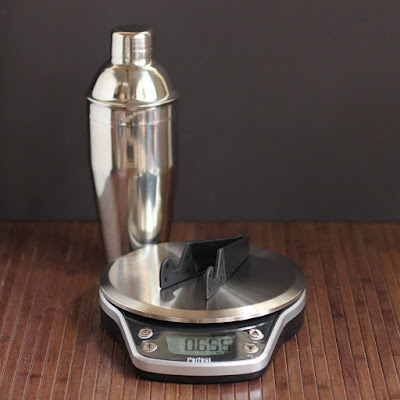 To truly test them side-by-side, I'd need to have them in similar containers, and I'd have to get all precise about the size, shape, and temperature of what I'm cooking, and I'd have to be precisely measuring the water temperature. So ... I don't think I'll be doing that. I'm pretty confident that any of today's sous vide machines will reach and hold a proper temperature. What's left? User-friendliness, design, button functions ... and a lot of that is personal preference. The good news is that the buttons in the PolyScience Discovery were intuitive enough for me to set it up without looking at the instructions. Which is a good thing, since little instruction manuals tend to disappear, and if something isn't intuitive to use, it's really annoying. So far, aside from the tippy-toe requirement, I'm perfectly happy with this model, but I have a lot more cooking to do before I have any final answers. Who's it for: Cooks who are geeks. Or geeks who like to cook. Or adventurous cooks who like to try new methods and gadgets. Pros: The on-off-button is a simple rocker switch, which I like. The company has a long track record of making lab equipment, so this isn't new to them. Cons: Need to read the display at a somewhat high angle. This seems to be the most expensive of the home-use machines. Wishes: These home units are still evolving, so there are a lot of things that I'm sure will get added on over time. 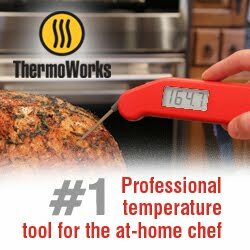 A remote display would be great - whether it's on my phone or on a dedicated device like some meat thermometers use. It would be nice if there was a way to make it fit into a wider range of pots - because the clip is stationary, you need a tall-enough pot. A choice between shutting off or staying on when the time is up would also be nice. I can see some situations where you'd want it to turn off, and others where it would be better if it stayed on. I'm sure there are other things I'll think of as I use these more and more. Source: I received this from the manufacturer. It was explicitly stated that a review was not required, but I'm sure they were hoping for one. October is Non-GMO Month, and Emile Noël is celebrating with some giveaways. Who is Emile Noël? The company was founded in 1920 in France, and they've always used artisanal production methods to create non-GMO and organic oils. When the company expanded to the US in 2013, it became Non-GMO Project Verified. 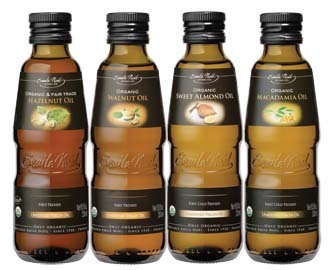 The company currently produces nut and seed oils including mild olive, robust olive, sesame, toasted sesame, sunflower, pumpkin seed, hazelnut, walnut, macadamia nut, sweet almond and sunflower oil spray. I've used a few of their oils, and I've been pleased with all the ones I tried. You can order online , or you can find them at select Whole Foods Markets, Sprouts and some natural food stores. But one of you lucky folks can WIN a bottle to give it a try. For a quick recipe using the oil, look HERE. The winner will receive ONE bottle. 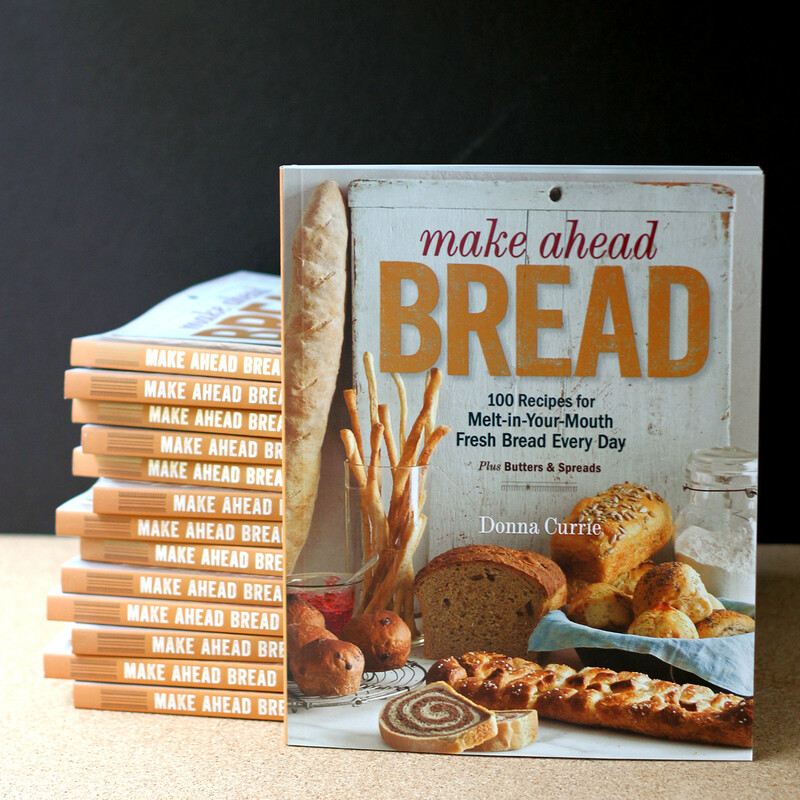 Make Ahead Bread is HERE!!! I was going to publish a recipe today, and a giveaway. But then this guy showed up. 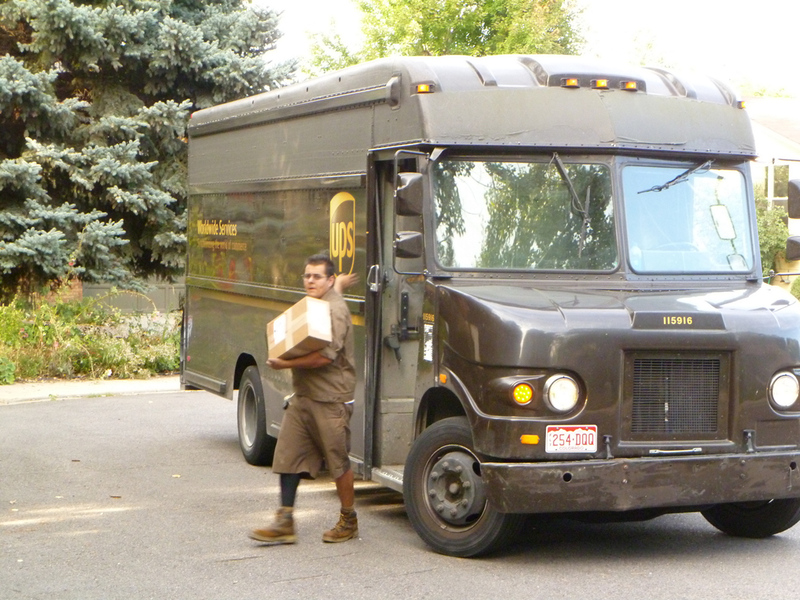 He was carrying a heavy box. And when I opened the box, I found these. Yes, that's my name on the cover. Look at that! Wow! It's real! I've been completely useless since these showed up, and if I finished writing the post, it would probably not be in English. And I'd probably make a terrible mistake and give away a small hippopotamus or something like that. So instead I'm going to tell you that you can buy the book directly from the publisher - and they have a PDF version as well, if you're that sort of person. Or you can pre-order on Amazon and you should have the book by November 4. If you want an autographed copy, I am making arrangements with my local bookstore to arrange that, so it's easier for everyone. When I have details, you will know. Or you could contact them directly and ask. They won't have books until after the Nov. 4 release date, but if they know they have books already sold, they'll know how many more they need to order. TOMORROW there will be a recipe and giveaway. 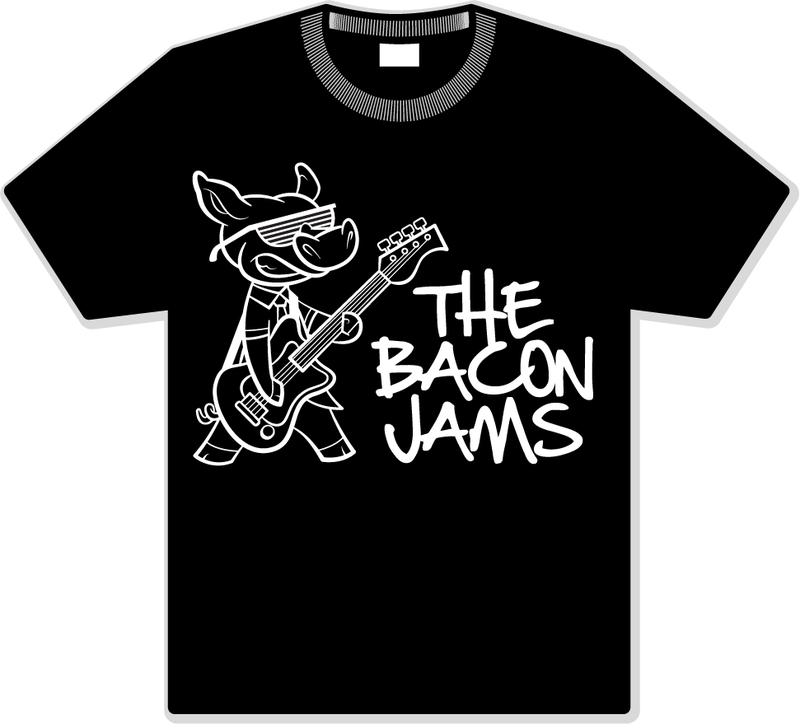 Bacon Spread and a Tee Shirt, HERE. Here's this week's roundups of giveaways. Assume the date could be off ... For some, I counted on my fingers, so I might have made a mistake or two. I'll be publishing a new list every Thursday, so come back and see what's new next week! And ... since I always find a few new giveaways after I publish, this list could be updated again over the next few days. And ... I've got a new giveaway starting here every Friday, so come back!!! Are you on Facebook? Do you love COOKBOOKS? Ask to join the Cookbook Junkies. Lots of talk about cookbooks, and there are usually some giveaways there, as well. BLOGGERS: If you have a giveaway coming up, email me (look at the contact info for my mail address) or message me on Facebook, or send a smoke signal and I'll add you to next week's list. There's no charge, no obligation! Or, ask to join the Facebook group for food blogger giveaways! I had a LOT of fun with this salt grinder and this pepper grinder when they first arrived, particularly when I was joking around on Facebook about how I got a new Peugeot. Because, of course, my non-foodie friends started getting excited about a car. My foodie friends all knew better, and many of them started talking about how much they loved their Peugeot pepper grinders. And, before you ask, yes, I do own other grinders. I've got grinders filled with black pepper, white pepper, green peppercorns, and even pink peppercorns (which aren't actually the same thing). And I've got some grinders filled with mixed peppercorns. And some spice grinders, too. Out of all of those grinders, one is a Peugeot, and what I love best about it - besides the fact that I've had it for quite some time and it performs flawlessly - is that I have it set to a fine grind, and it stays there. Other grinders I have tend to drift a bit. So they start off with a fine grind and pretty soon I've got a coarser grind. So I figured that these new grinders would have the same quality grinding mechanisms. So far, so good. What's different about these - beside the look, the loop, and the happy colors, is that these are battery operated. Just push the button on top to grind. I know, I know, You're saying that grinding pepper isn't all that hard. And it isn't. BUT! There are plenty of times when I'm cooking or prepping or mixing or cutting and one hand is goopy. It's nice to be able to grab a grinder with a clean hand to add the pepper, rather than stopping to wash my hands. These are also bright and colorful and fun at the table. And they'd be perfect for people who have weakness in their hands and who need a little help in the kitchen. The loop on top is there so you can hang these on a hook, and possibly to make them easier to carry, since you can hold plates and have the grinder hanging on a finger or thumb, if that's a consideration. Overall, I really like these, and I expect that they'll last just as long as my non-electric Peugeot grinder. Sure, you need to change batteries, but it's not like you're going to run down the batteries grinding salt and pepper for hours on end. Who's it for: People who want quality grinders. Pros: Made by Peugeot, so these should be reliable, long-term. Wishes: It would be nice if there was also a manual grind option. Source: I received these from the manufacturer for the purpose of a review.